1. The Pisces Birthstone: The Amethyst: The Pisces sign of the zodiac is quite spiritual and intuitive  moving freely between reality of the world and the mysticism of the unknown. At times too sensitive to environmental energies, a Pisces individual has a tendency to absorb both positive and negative energies around him, not always able to form boundaries. The Amethyst can help the Pisces soul recognize where he ends and the rest of society begins and can help him or her feel safe within the newly created boundaries. 2. The Beryl, Blue Lace Agate, and Moonstone Potential: Each of these three stones plays a unique role in the Pisces souls destiny. The Beryl is the stone of the hidden world. It can offer a glimpse of the undercurrents of life and can help the Pisces native transform visionary potential into reality. Pisces also sometimes have a very powerful imagination  so strong that they have the potential to manifest whatever it is that they envision  both negative and positive. During moments of fear and doubt, it is the Blue Lace Agate that can help the Pisces soul stay on a positive track. Last but not least, it is the Moonstone that truly resonates with the Piscean intuitive nature and has the potential to transform their spiritual insights into worldly accomplishments. and the Selenite is just the stone that can help it achieve that union. 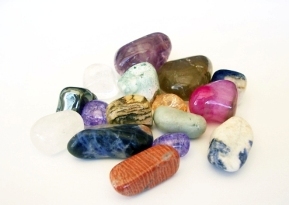 The Magnesite, on the other hand, is the one that can teach the Pisces individual the meaning of selfless love  to know what it feels like to allow others to be who they are yet not be affected by their difficulties  a kind of giving with boundaries.